The renowned Texas 18-wheeler accident lawyer, Greg Baumgartner, says that truck tire blowouts caused due to tire disintegration that can lead to serious crashes and are becoming more and more common these days. When a tire of such a big vehicle blows out, it can affect the control of the lorry and create panic amongst other road users who try to swerve to avoid the incident, or when they try to swerve to avoid any debris. This can cause severe injuries if a collision takes place. Once the tire becomes detached from the truck, the driver needs to put all his effort into taking control of the vehicle, and in his struggle to regain control of the lorry, he may hit other road users. A commercial lorry when fully loaded weighs upwards of 80,000 pounds. Owing to this enormous weight on the truck, it often has a considerable stopping distance. If the tire fails on a truck of this size, you can see why it becomes a challenge for the driver to keep control of the vehicle. Even for experienced drivers, this is a tough task. A blown out tire may cause the truck to go in a totally different direction, and in some cases, may cause the truck to jackknife or even roll over. As other road users try to avoid the truck and any tire debris, they may collide with other road users who are also trying to avoid the truck. The results can be deadly. This is why crashes with 18 wheelers are often life-threatening. These crashes can lead to multiple collisions on the road, and it is not uncommon for 5-10 vehicles to become involved in a crash due to a tire blowout on a truck. The number of such dreadful incidents is increasing in the USA, and it can only be reduced if more attention is paid to the trucks’ tire maintenance and repair. 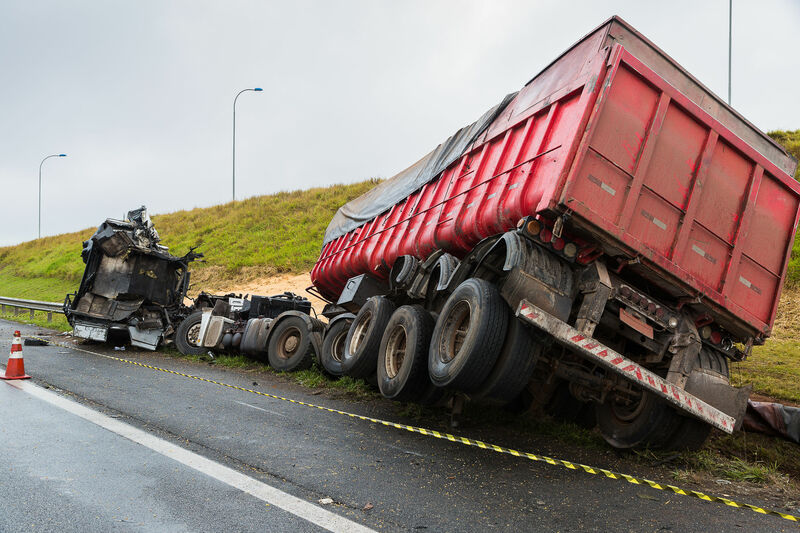 If you are ever involved in an accident with a truck, whether due to a tire blowout, or for any other reason, make sure you contact a reputable truck accident attorney to ensure you are given the legal representation you deserve.